Thank you Hunt's tomatoes for sponsoring this recipe. Are you deep in Thanksgiving planning and list making mode? Guest lists, shopping lists, meal plans. It's not just me, right? The thing is, there are all these food ideas and plans swirling around but no actual food yet. The big day is still a week away but we should probably eat something between now and then. Since a bird will be taking center stage both on Thanksgiving and probably all that weekend in the form of leftovers, I went with some easy ground beef for this week. 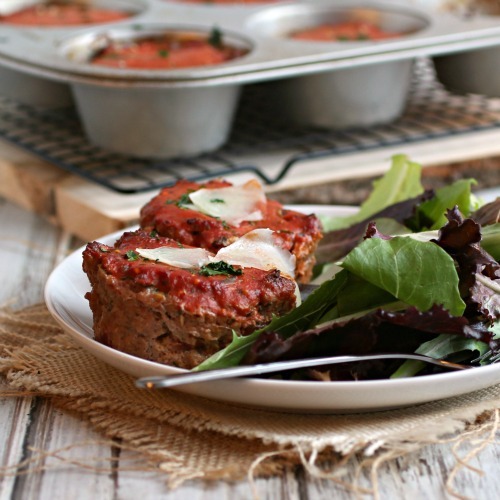 Meatloaf is always popular, easy to throw together and comforting. Hey, it's cold outside! But have you tried making individual ones in a muffin tin yet? I'm loving this method so much it may be a while before I make it as an actual loaf again. 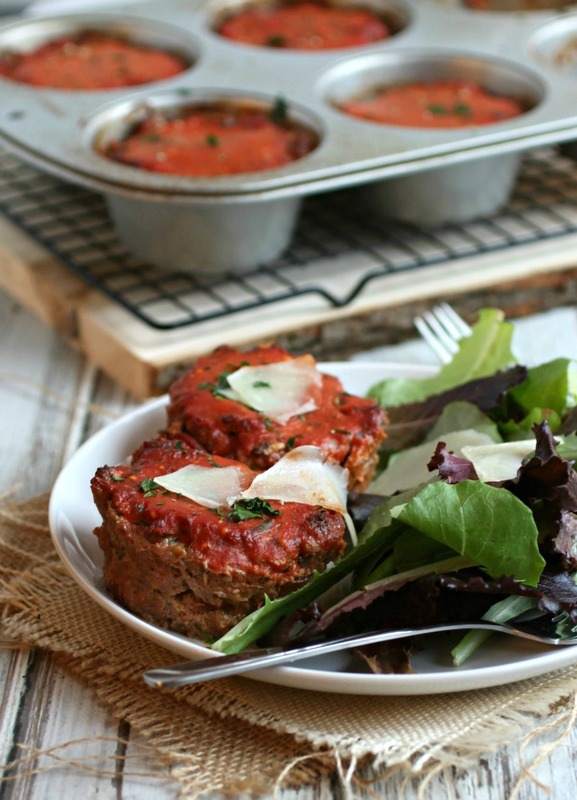 To make a juicy meatloaf, you need tomatoes and my go-to brand just got better. 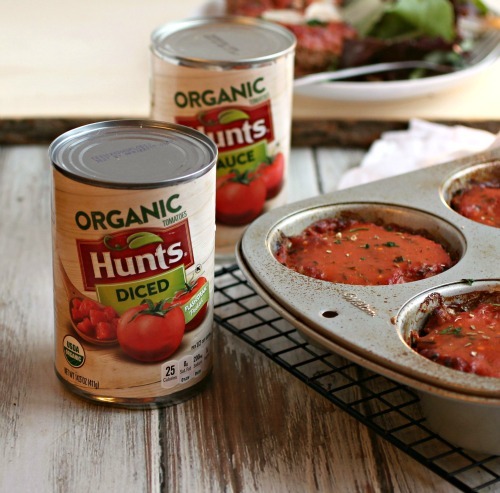 Hunt's tomatoes now has an organic line of products so I scooped them up. I like that Hunt's cans their tomatoes just hours after picking them and that they use steam from hot water to peel them rather than the chemicals some others use. So, the diced tomatoes got mixed in with the beef and the sauce got used as the topping. Moist, flavorful and they slipped right out of the muffin tin. I was one happy cook...and a happy eater. Enjoy! Pre-heat the oven to 400 degrees and spray a 6 cup muffin tin with non-stick cooking spray. In a large bowl, mix together the ground beef, diced onion, minced garlic, egg, diced tomatoes, breadcrumbs, basil, salt, pepper and oregano. Divide the mixture evenly into the muffin cups and bake for 35 minutes. In a separate bowl, mix together the tomato sauce, milk, basil and oregano. Glaze the top of each loaf with an equal amount of the topping and return to the oven for another 10 minutes. Serve with shaved Parmesan on top. Looks fantastic! 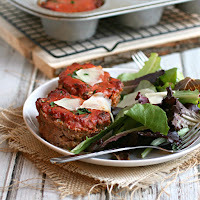 I love mini meatloaves like this.